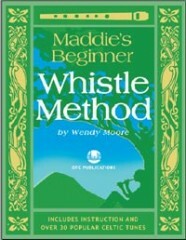 ORDERING : Maddie’s Beginner Whistle Method & play-along CD $29.95. Order directly from Wendy. Listen to sample tracks below.